Sara Goheen, a junior at the Massachusetts Institute of Technology, often folds placemats or straw wrappers into interesting shapes while she's waiting at a restaurant for the food to arrive. "It's super satisfying to see a flat piece of paper turn into something — whether it's a rhino or a star," Goheen said of her passion for origami. "Empowering," is the word used by Richard Alexander, who with partner Michael LaFosse publishes books and videos about origami and runs an origami and papermaking studio in Haverhill, Mass. "You take a simple square and with the power of what's between your ears, you can make thousands and thousands of interesting things," he said. 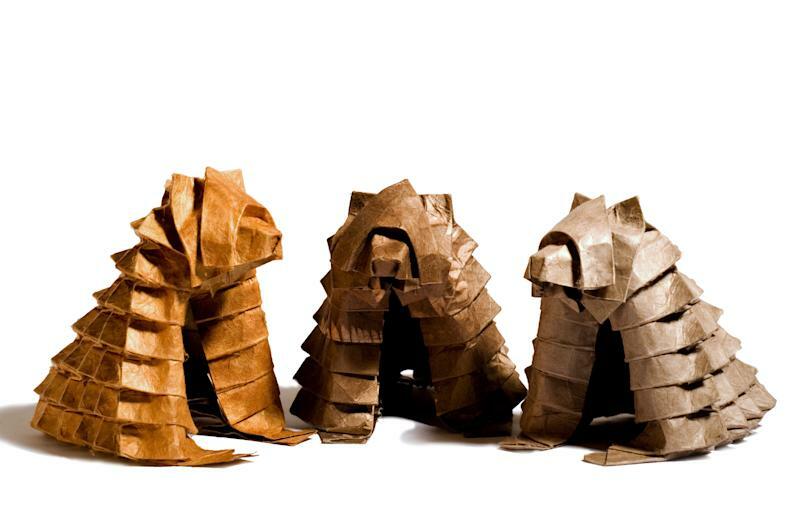 Origami, which began hundreds of years ago in Japan, has in recent decades attracted the attention of artists, scientists and mathematicians, said Vanessa Gould, director of the 2010 documentary "Between the Folds." "So many different kinds of people are coming at it at the same time," she said. "It's thriving in so many directions." The film uses origami to study the intersection between art and science. Some practitioners turned to the craft to explore scientific problems — from understanding protein folding to designing safer airbags. Some are applying mathematical techniques to their designs, allowing for models with increased complexity and realism. 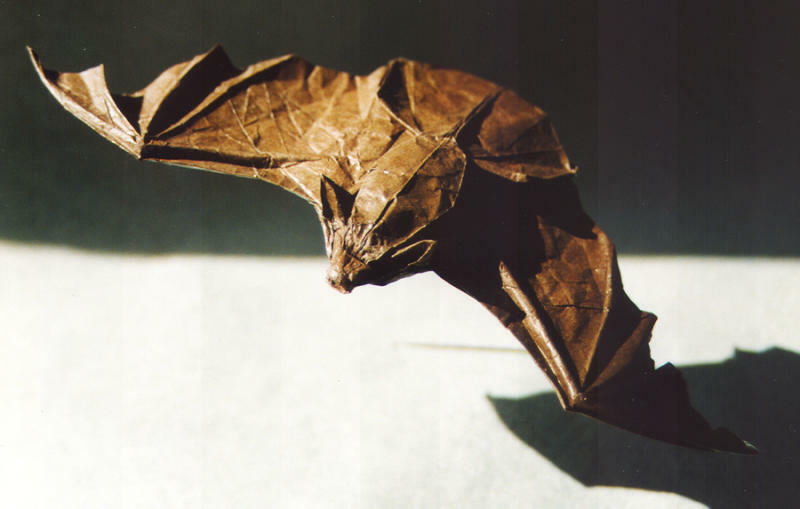 Today, origami designers can develop models that require 200 to 300 steps. Fifty years ago, designers created models with 20 to 30 steps. "People have really discovered properties of the paper and possibilities of the paper that were literally deemed impossible," Gould said. Origami can be a fun way to explain geometry and other mathematical concepts, said Michael Vass of Rogers, Ark., who home schools his 7-year-old daughter, Hannah. "It's all geometry," he said. "When you unfold, you see a geometric pattern." Folding also builds creativity. Often, as you fold, you realize that other shapes can be made with similar steps, he said. "If you make a flapping crane, you can go back a couple of folds and make a basset hound or an angel fish," he said. Vass leads a monthly workshop at the Bentonville Public Library. He and Hannah recently taught children how to make pumpkins and turkeys for Thanksgiving. "It's fun," Hannah said. "It's not hard." "That's one of my favorite things about origami. It's such an intergenerational activity," he said. "I'm always amazed at how many kids I meet that already have origami skills." Peake has organized several conferences at which folders at all different levels come together to create origami models. 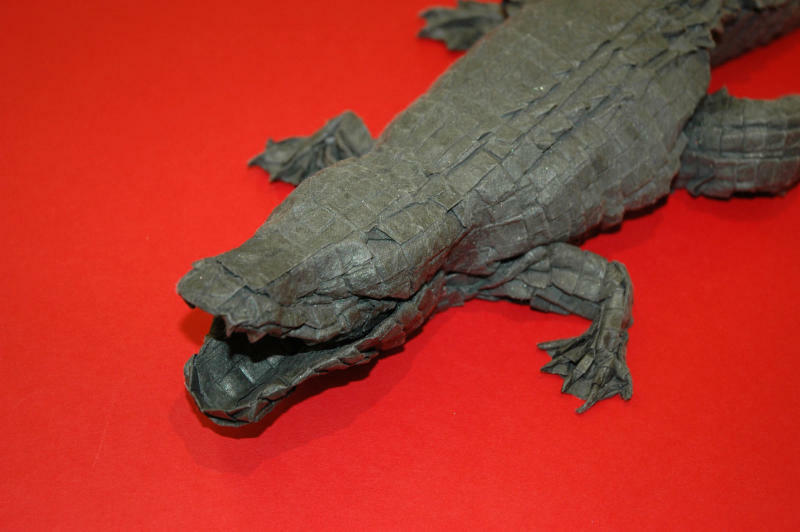 MIT, which has an active origami community, held its second convention earlier this year, said Goheen, who is president of the OrigaMIT club. Part of origami's appeal, she said, is that there are always new models to learn. "It's a nice release from schoolwork. It's kind of calming," said Goheen, an ocean and mechanical engineering major who likes to fold modular spheres. Beth Johnson of Ann Arbor, Mich., is another enthusiast; she attended a convention in 2011 hosted by OrigamiUSA, the national organization. During the event, Johnson was recognized for her contributions to origami. "It's an extraordinary experience. You're folding from 8 a.m. to midnight," she said. "I love that everybody's carrying the same passion." Johnson started folding as a child after she received an origami book for Christmas. "I took to it right away," she said. "I enjoyed it as much for the challenge of it as for the art of it." In recent years, she has begun designing her own origami patterns, exhibiting her pieces and teaching classes. She works with engineers from the University of Toledo in Ohio to examine how patterns in origami may be used in designing materials with improved mechanical properties, such as increased shock absorption. "It's definitely a passion," she said. "It's something I can't ever imagine not doing."